I’ve never read The Jungle Book until now, despite being a fan of the Disney movie as a kid. The stories were also interspersed with songs and poems. 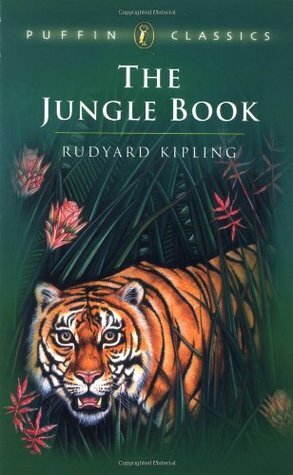 As I read this book, I started to remember more of The Jungle Book movie that I’d forgotten… Now I want to watch it again. Before I read the story of Rikki-Tikki-Tavi, I read an article by someone whose cat was called Rikki-Tikki-Tabby, so I appreciated learning that reference. This section also reminded me on the TV show, The Wild Thornberries, because there’s an episode where Eliza meets a crazy mongoose that fights cobras. I thought Toomai of the Elephants was a great one. The elephant’s dance was so beautifully written. It reminded me of a ballet I once saw. Not a very well known one. But in the ballet, one of the dancers danced a feverish dance by night. Or something like that. I liked all of the stories in The Jungle Book except I didn’t care for the last one, which was boring in comparison to the others. I never knew that it was composed of 7 different stories that is definitely something good to know! I have shyed from a bit because of other people in my majors complaints! I love the cover! I never did either! It was actually a nice read. I read Alice in Wonderland and really did not enjoy it. So as far as children’s classics being reread as adults, definitely check it out!